You can tell yourself you’ve seen all there is to see of this spectacular landscape. 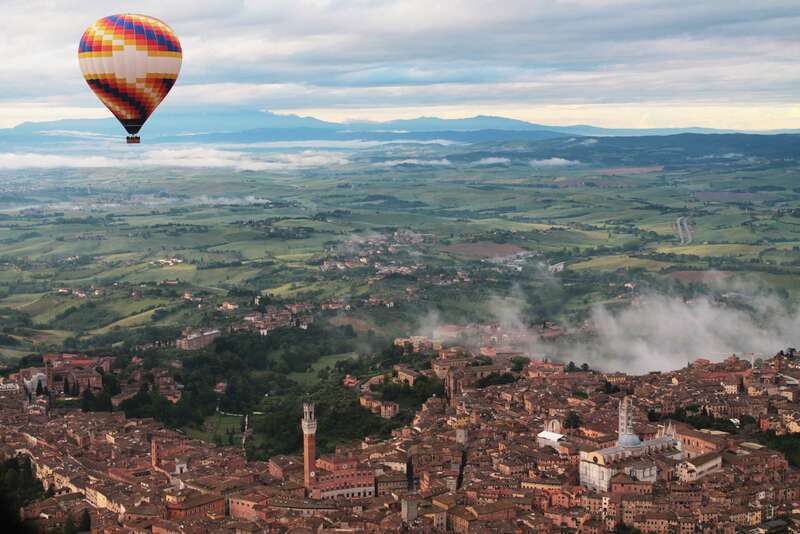 But we know your hot-air balloon flight over Tuscany will show you things from a new perspective — literally. Lasting memories are guaranteed. 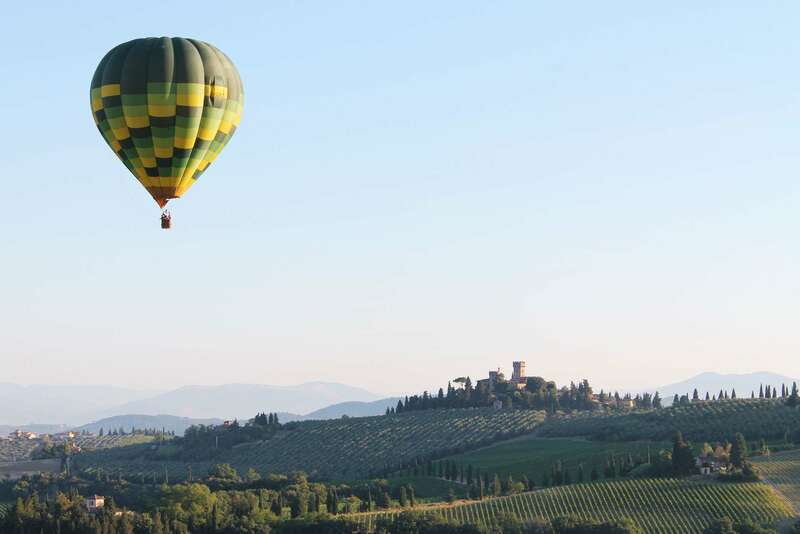 Enjoy this once-in-a-lifetime ballooning trip then retreat to one of our stunning villas in Chianti. A hot-air balloon tour over Tuscany — as if this region isn’t magical enough — makes your stay with us even more memorable. 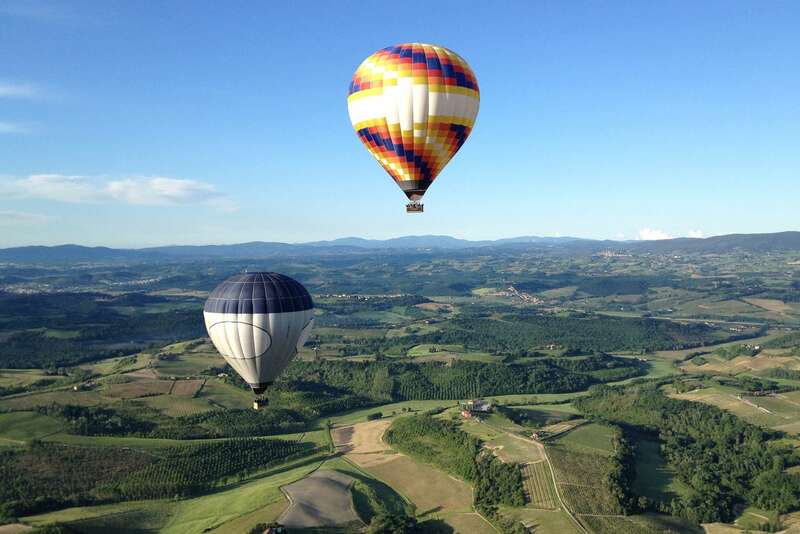 On the trip you will, of course, enjoy breathtaking views, and experience a mix of thrill and tranquility hundreds of metres above the rolling Tuscan hills. 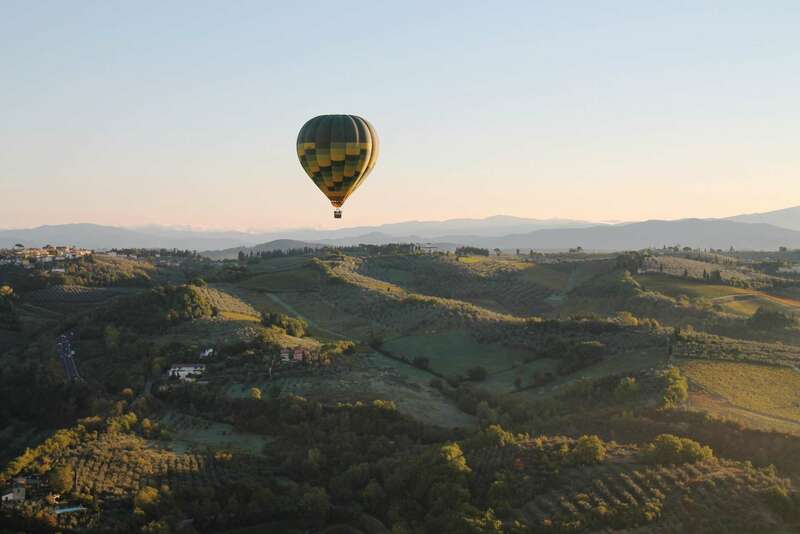 As you soar above Tuscany, our assistant brings you up to speed on some of the region's history and culture. You will see the sun rise above a classic landscape of olive groves and vineyards. Want to explore further? 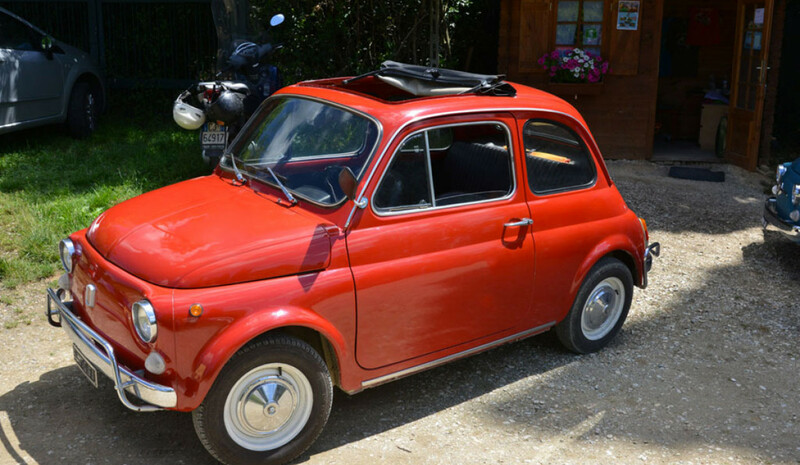 Read more about our tours and experiences, or tips on things to do in Italy’s great outdoors. The hot air balloon tour starts around 6am and lasts 1.5 hours. 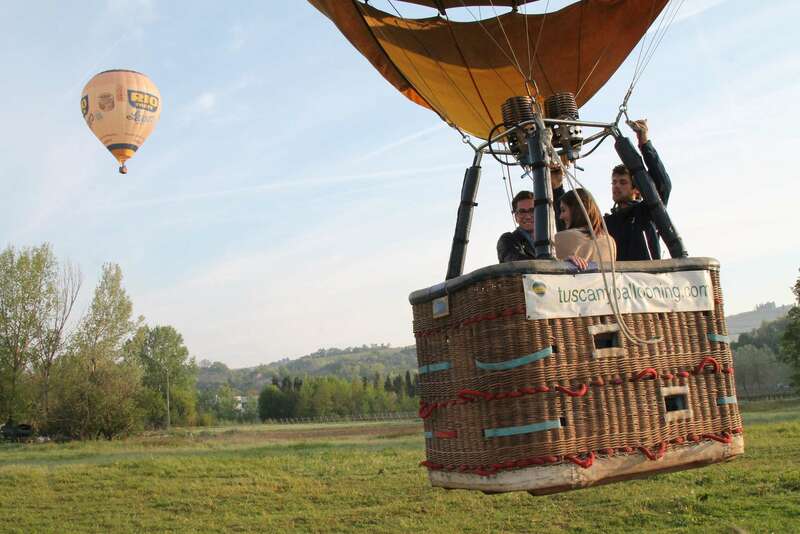 An English-speaking assistant and hot-air balloon will be waiting for you at our meeting point, south of Florence. The first 30 minutes of your experience are dedicated to setting up. As the balloon inflates, our assistant explains the tour and schedule, which is followed by approximately an hour in the air. When you land, a breakfast picnic is served with Prosecco. Included in the price: 1 hour of private hot-air ballooning with an English-speaking assistant plus a picnic breakfast with Prosecco. Min 2 persons - Max 8 persons. The meeting time may vary based on the time of year. 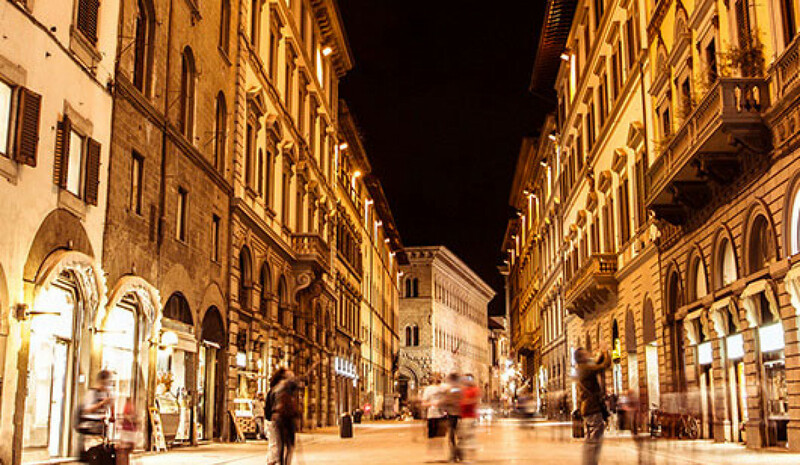 Escape the modern world and discover one of Tuscany&rsquo;s most historic and distinctive cities, Lucca. 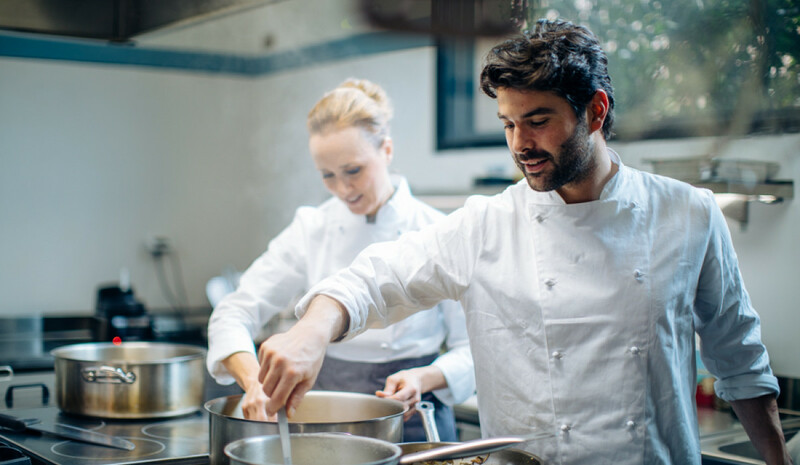 Our Lucca by bike or foot experience offers you a rare chance to explore one of Tuscany&rsquo;s hidden gems; walking or riding by bicycle through this medieval city&rsquo;s narrow streets, grand palazzos and unforgettable, distinct churches. Discover the legacy of Italian paintings, sculpture, jewellery and other luxurious pieces at the Pitti Palace. 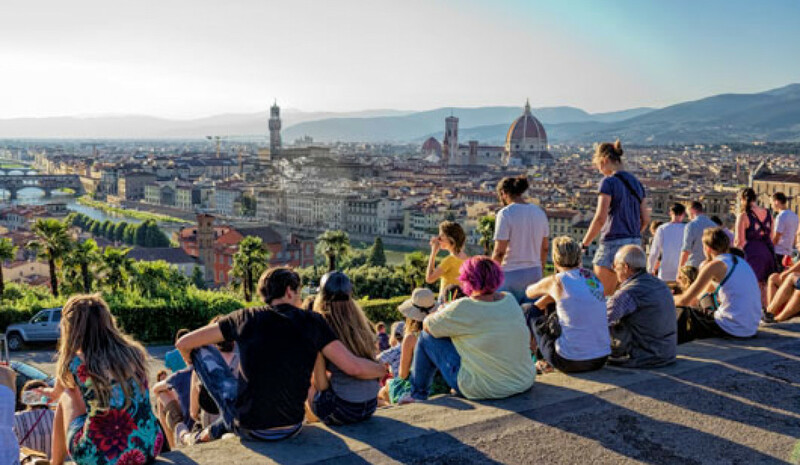 Our tour introduces you to one of the largest museums in Florence with both classical and modern art, including the world-renowned Palatine Gallery. The Boboli gardens are known for their beauty and make for a perfect day out for families with children.